Photo: Mardi Gras jester figure near first phase of Mardi Gras Park. 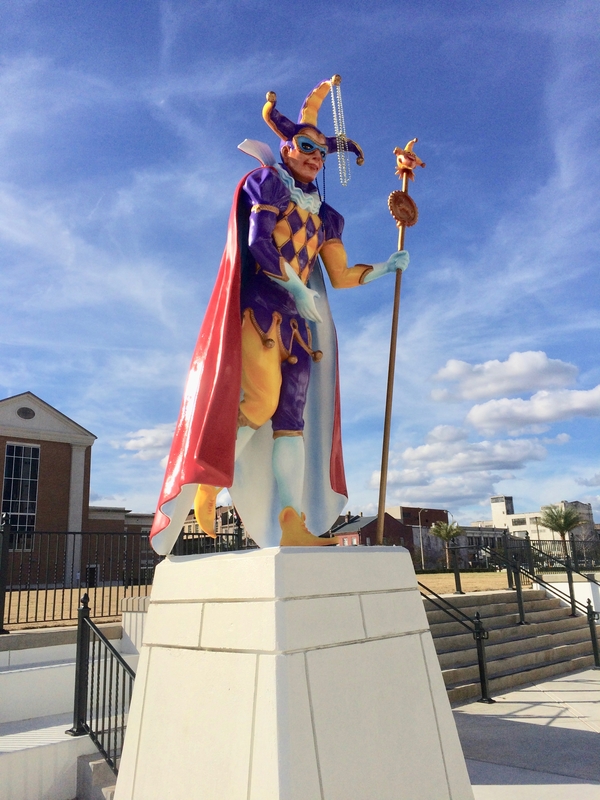 Caption: Mardi Gras jester figure near first phase of Mardi Gras Park. Additional Description: The first phase included a $2.5 million leveling of the park’s surface and the construction of retaining walls, extra parking, sidewalks, lighting and other features. The second phase, to cost around $2 million, is proposed to include the creation of a public pavilion and an enclosed marketplace.